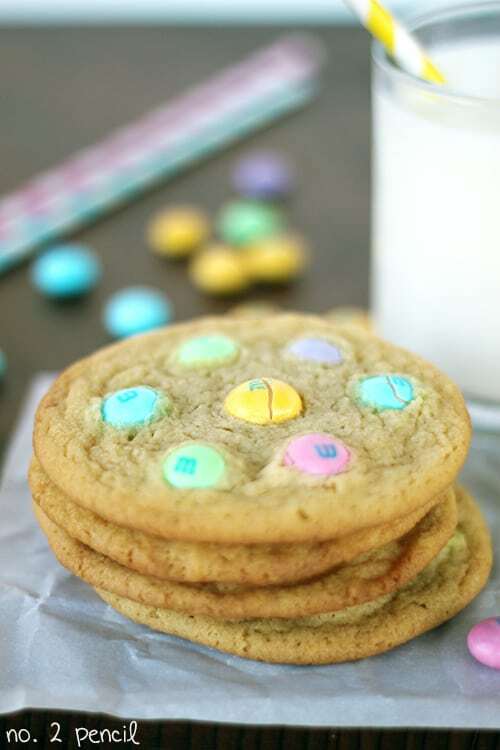 These White Chocolate M&M cookies are absolutely delicious, and perfect for Easter with their pretty pastel colors. 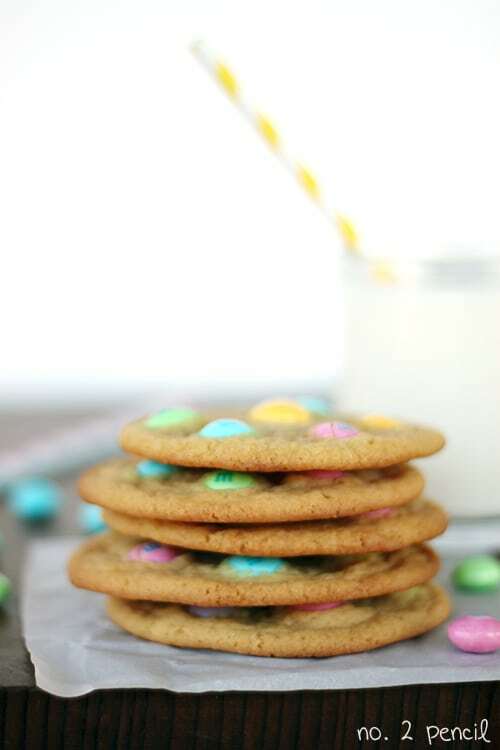 During the holiday season, I shared my White Chocolate Peppermint M&M Cookies and they were so popular, I thought I should do a spring version. 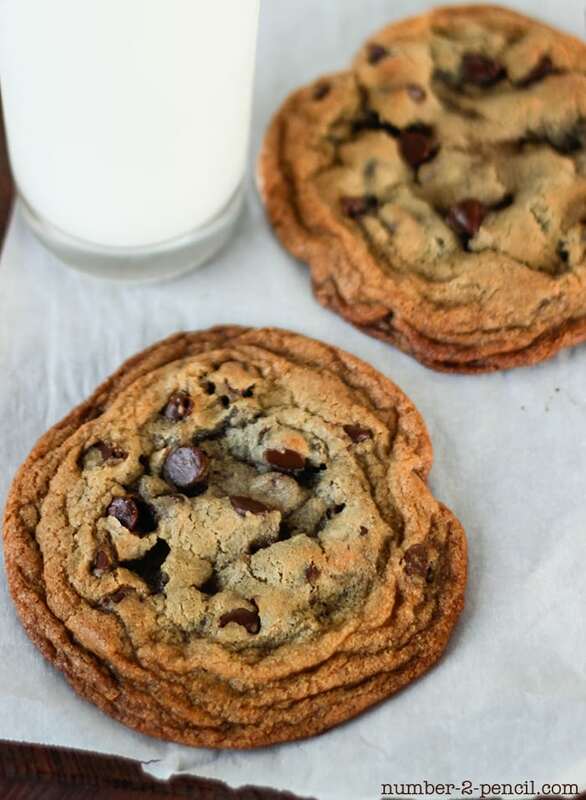 For this version, I adapted the cookie dough and added vanilla pudding to the mix. The result is so amazing, I can’t wait for you guys to bake a a batch and try them. 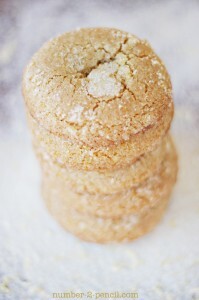 If I could mail everybody a sample, I would, that’s how tasty these cookies are! They are rich and chewy, and stay soft for days. 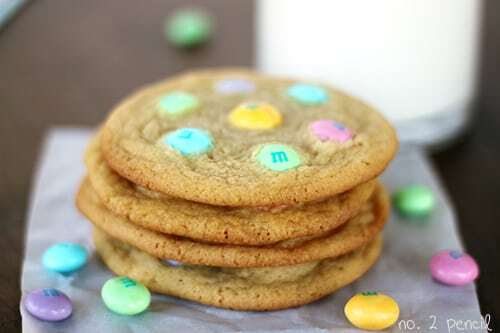 For these cookies, I used White Chocolate M&M’s, but any kind of M&M’s will work and will be absolutely delicious! In the bowl of a stand mixer, combine butter, sugars, pudding mix, salt, and vanilla extract. Stir on low just until combined. 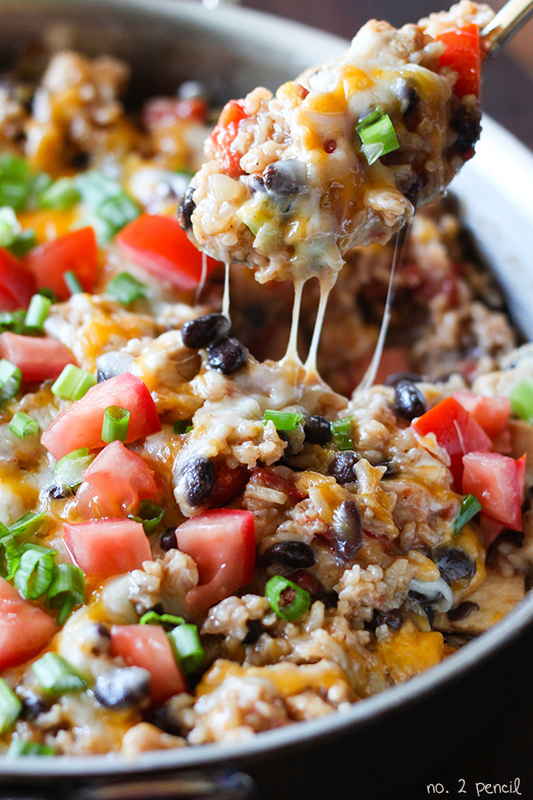 Continue stirring and add eggs one at a time. Then add flour and baking soda to bowl and stir just until dough forms. Form two tablespoons of dough into balls and place on cookie sheet. 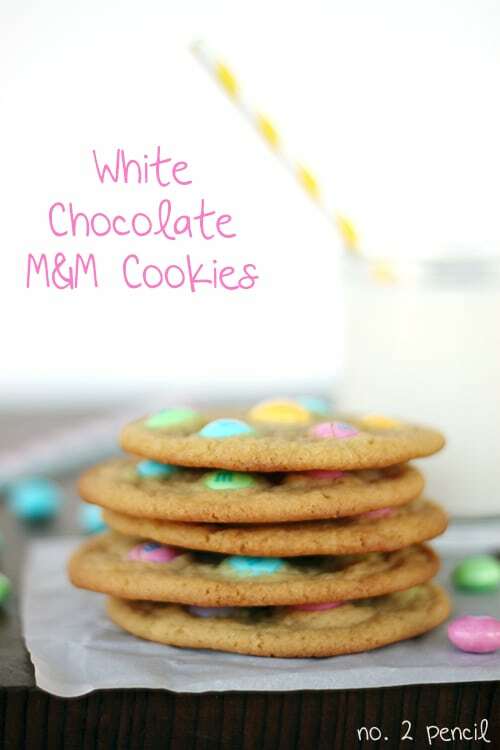 Place 7 White Chocolate M&M’s on top of each cookie dough ball and bake for 7-9 minutes. Just until the edges are slightly golden. 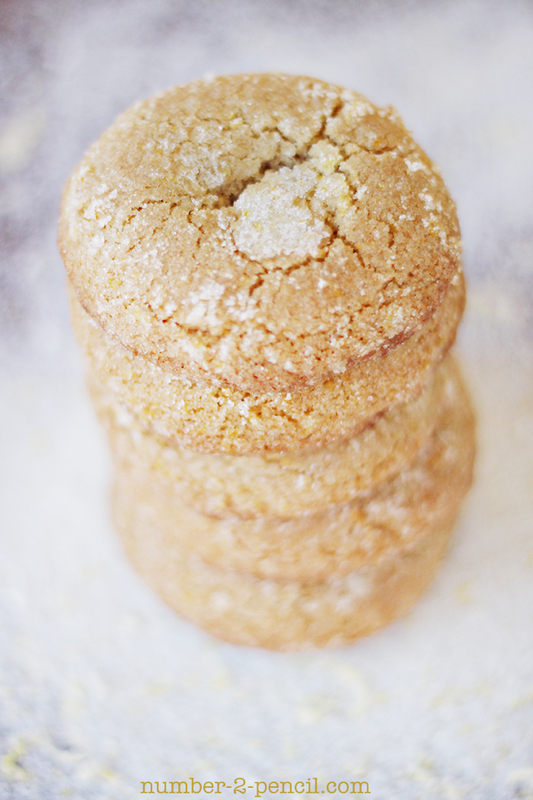 I hope you add these cookies to your spring baking to-do list! I made these this morning for my hubby. He loves cookies and white chocolate. I made half of them with chopped macadamia nuts. He loves them- with and without the nuts! I just baked these today and they are delicious! Loved them! !